While playing with a new developed stuff I discovered the bug, which could be critical in some conditions. 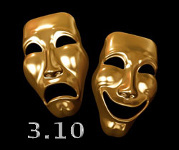 Old code used to hide/show old deprecated WordPress capabilities stored all those level_1, level_2, ..., level_10, edit_files capabilities turned on during any role update. While WordPress itself doesn’t use these capabilities nomore, some outdate code from themes or plugins could do that. If you have such code, you may have a problem. So, please check roles, you modified with User Role Editor in “Show deprecated capabilities” mode and revoke accidentally granted deprecated capabilities from them. 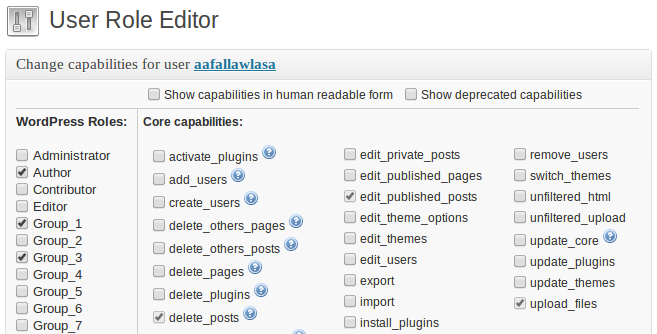 and from users list, just click ‘Capabilities’ link under selected user row. This entry was posted on Sunday, January 20th, 2013 at 05:10	and is filed under ShinePHP plugins news, WordPress. You can follow any responses to this entry through the RSS 2.0 feed. You can skip to the end and leave a response. Pinging is currently not allowed.